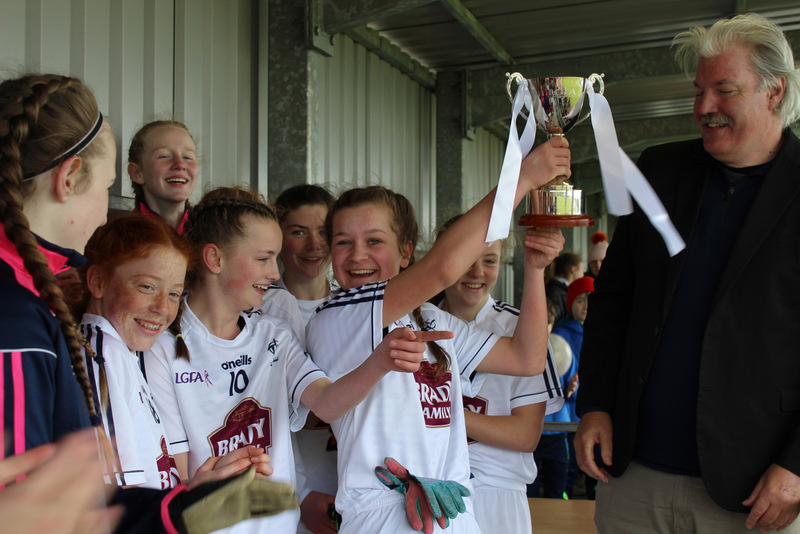 A 0-06 player of the match performance from Edwina Birchall helped Kildare to an U14 B Championship title in Manguard Plus Hawkfield on Saturday afternoon. Kildare led from the start however Westmeath pressured them all the way with the result still in the mix in the final ten minutes. Down the other end, Kildare did not make the same mistake and Niamh Farrelly hit the net thanks to a timely pass from Síofra Galvin. Indeed, Westmeath had their goalkeeper, Ellie Temple and the uprights to thank for keeping them in contention as Kildare upped the pressure – Grace Murtagh’s effort rebounding off the crossbar. Westmeath upped the ante before the break and Tumelty converted a brace of pointed frees with Kildare keeper, Claudia Keenan called into action making an excellent save to ensure the Lillies led by four at break; 1-06 to 0-05.